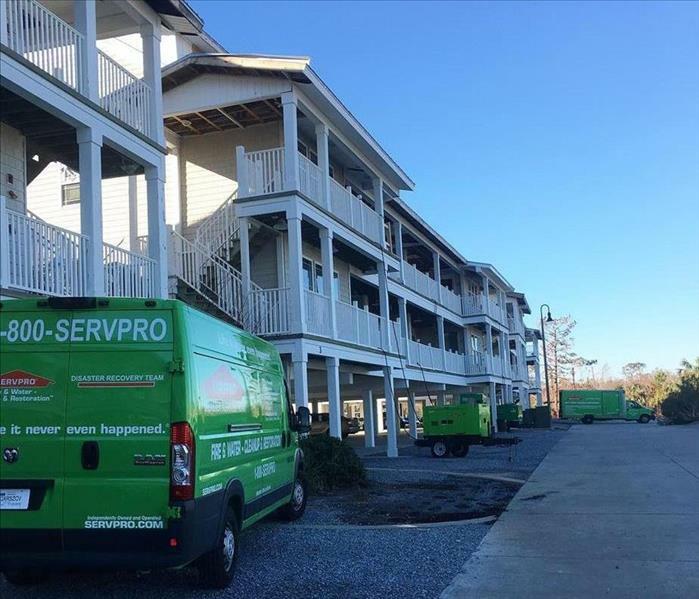 SERVPRO of Waycross, Hinesville, and Douglas has been a trusted leader in the restoration industry since 1992. Providing 24- hour residential and commercial services such as water damages, fire damage, and storm response. As a locally owned and operated business we are dedicated to serving our community and helping you when disaster strikes. When Hurricane Irma and Hurricane Mathew hit our coast we sprang into action protecting and minimizing further damage in coastal homes. We take pride in our community and serving the people that reside in it. We’re faster to any size disaster with highly trained technicians. You will always have the peace of mind knowing that our phones are answered around the clock by trained professionals. SERVPRO of Waycross, Hinesville & Douglas is locally owned and operated, so we are part of this community too. When you have a cleaning or restoration need, we’re already nearby and ready to help. We take pride in being a part of the Waycross, GA community and want to do our part in making it the best it can be.